My name is Kimberly and my amazing friends need your help! Though they would never ask for help themselves they are in need of some financial help to support themselves and their beautiful son Dominic. 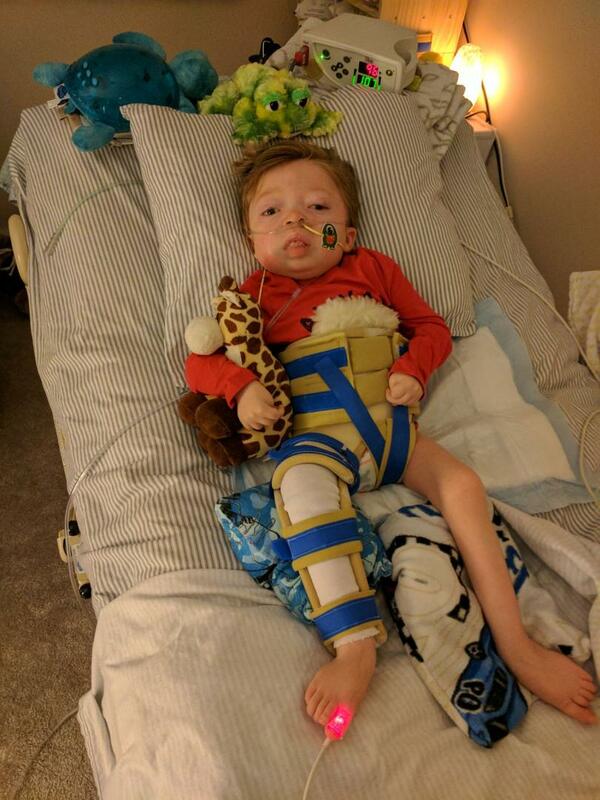 Dominic was born with an extremely rare terminal metabolic condition and for three and a half years has been sick and in and out of the hospital and intensive care. He has beat so many odds to stay in this world and be with his parents and anyone who has been around this family can feel that he has stayed in this world with us because of the love he has for his parents. Hannah and Shawn have loved this little boy beyond words and how they get through everyday amazes me. 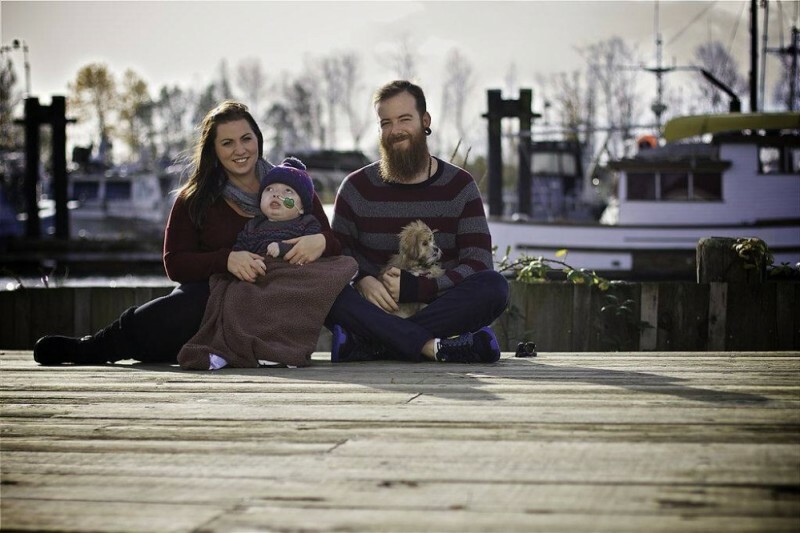 They have completely uprooted their lives and left many friends and family in their home town and moved to be closer to the Children’s Hospital in Vancouver where Dominic can get the best possible care. They are amazing parents and people and truly deserve your help! Hannah has not been able to work since she was five months pregnant due to complications during her pregnancy as a result of Dominic’s disease and has continued to be off work to be Mommy, nurse, and world to this unbelievably strong and amazing boy. Shawn has worked throughout Dominic’s three and half years in this world and is 100% willing to work for his family whenever he can. But due to Dominic’s condition is often unable to do so as Dominic is sick and in the hospital and needs his parents. Shawn has also dedicated his life to his son and become father, nurse, and world. These amazing people just need a break and the last thing that they need to worry about at this point is making ends meet. My hope is that we can fundraise so that they can continue to focus on their son and the care and attention that he needs. Any little bit helps and it would mean the world to me to take just a little bit of their worries away. Here is an update on Dominic from his mommy Hannah but let me first say how much I appreciate the generosity so far. I ask again for your help as both of Dominic's parents cannot work in order to care for and spend as much time as they can with their boy! They are the most deserving loving family I know and I know how humbled and appreciative they are! So I am so overcome with so many emotions. The generosity of everyone so far has been unbelievable and just goes to show how amazing this family is and just how many people they have in their corner! I have decided to up my original goal of $3000 to $5000 as we almost reached it in two days! Every cent of this money will help their lives and you all are a part in that so I thank you and Hannah and Shawn thank you! Wow over $2000 in two days! I am beyond impressed and moved by everyones generosity! This will be such a huge help to these amazing people! I would still like to reach the original goal I set so please keep sharing on social media. I am sending it by mail to them!!! I am his Aunt and I have a thing about doing money over the internet!!!! Lots of love to you two and your very precious boy Dom!